Home › National List › NL Directory Is Now Online! NL Directory Is Now Online! 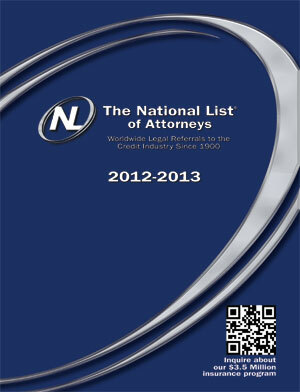 The digital edition of the 2012 – 2013 NL Directory is now on our website and ready to use. It is under the new Legal Resources tab on our Homepage. If you are already registered, logged in and have clicked on “Remember Me,” you can go directly to http://ebook.nationallist.com/i/73784 . The login and password are the same ones you use for the NL website. The NL hardcopy 2012 – 2013 Directory began shipping the 1st week of August. If you requested one, you should be receiving it soon. But why wait! You can check out the latest information with just the click of your mouse! ‹ Wasting money & time on hiring & training the wrong people? I am very excited to be able to offer the online edition to our users! Please feel free to email info@nationallist.com any comments or suggestions that would enhance your experience with the digital edition.